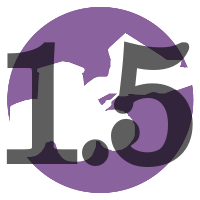 We are today happy to announce the release of CapLoader 1.5. This new version of CapLoader parses pcap and pcap-ng files even faster than before and comes with new features, such as a built-in TCP stream reassembly engine, as well as support for Linux and macOS. 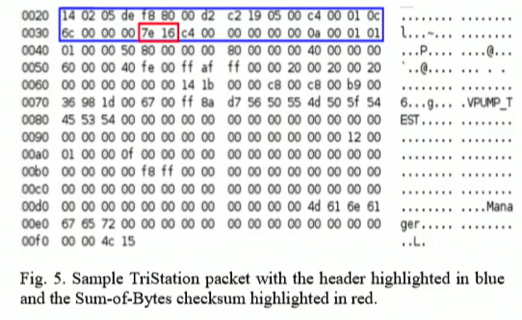 CapLoader is designed to group packets together that belong to the same bi-directional flow, i.e. all UDP, TCP and SCTP packets with the same 5-tuple (regardless of direction) are considered being part of the same flow. A combination of source IP, destination IP, source port, destination port and transport protocol (TCP/UDP/SCTP) used to uniquely identify a flow or layer 4 session in computer networking. 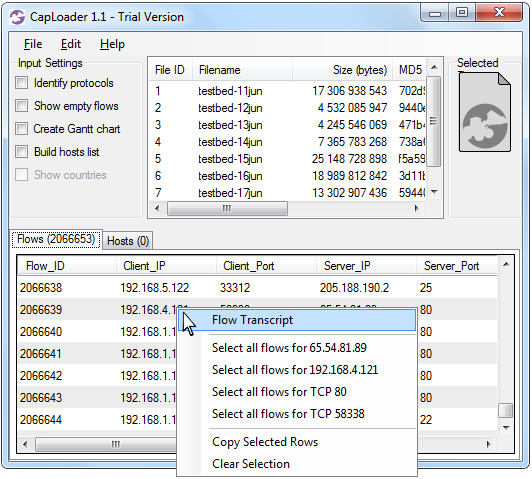 The flow concept in CapLoader 1.5 has been extended to also include ICMP. Since there are no port numbers in the ICMP protocol CapLoader sets the source and destination port of ICMP flows to 0. The addition of ICMP in CapLoader also allows input filters and display filters like “icmp” to be leveraged. 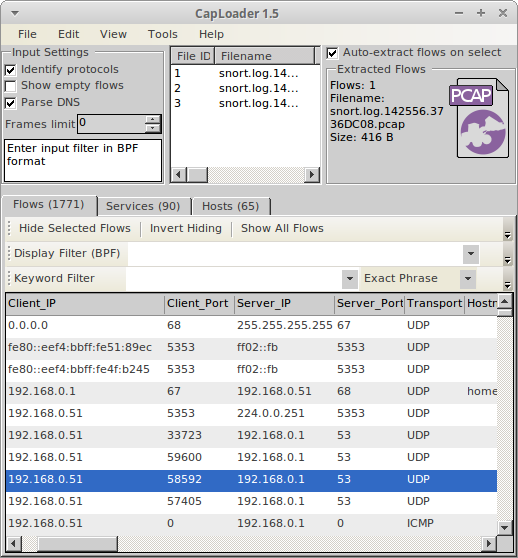 Image: CapLoader 1.5 showing only ICMP flows due to display filter 'icmp'. One of the foundations for making CapLoader a super fast tool for reading and filtering PCAP files is that it doesn’t attempt to reassemble TCP streams. This means that CapLoader’s Transcript view will show out-of-order segments in the order they were received and retransmitted segments will be displayed twice. 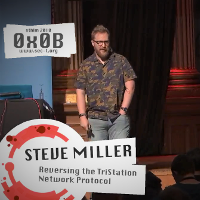 The basic concept has been to let other tools do the TCP reassembly, for example by exporting a PCAP for a flow from CapLoader to Wireshark or NetworkMiner. Right-click a TCP packet in the TCP session of interest. Select “Follow > TCP Stream”. 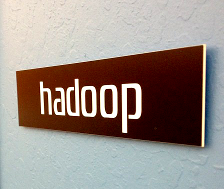 Choose direction in the first drop-down-list (client-to-server or server-to-client). Change format from “ASCII” to “Raw” in the next drop-down-menu. 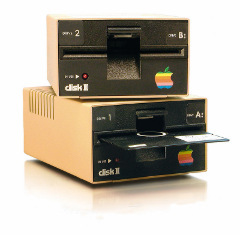 Press the “Save as...” button to save the reassembled TCP stream to disk. Double click a TCP flow of interest in the “Flows” tab to open a flow transcript. Click the “Save Client Byte Stream” or “Save Server Byte Stream” button to save the data stream for the desired direction to disk. 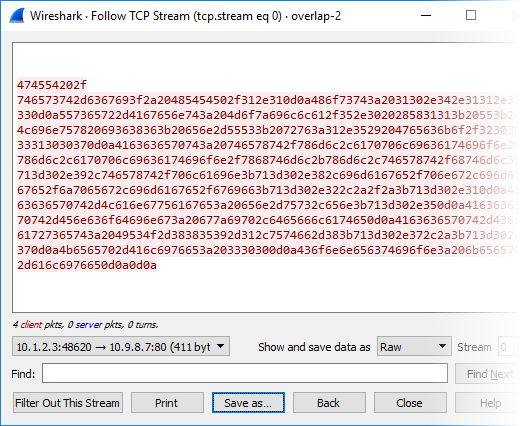 Extracting TCP streams from PCAP files this way not only ensures that the data stream is correctly reassembled, it is also both faster and simpler than having to pivot through Wireshark’s Follow TCP Stream feature. 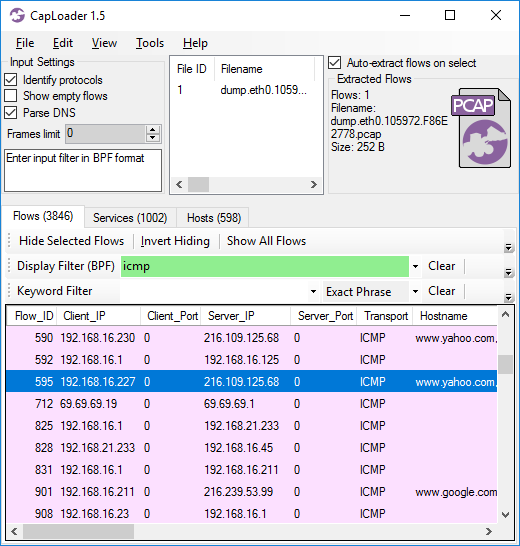 The PCAP icon in CapLoader is designed to allow easy drag-and-drop operations in order to open a set of selected flows in an external packet analysis tool, such as Wireshark or NetworkMiner. 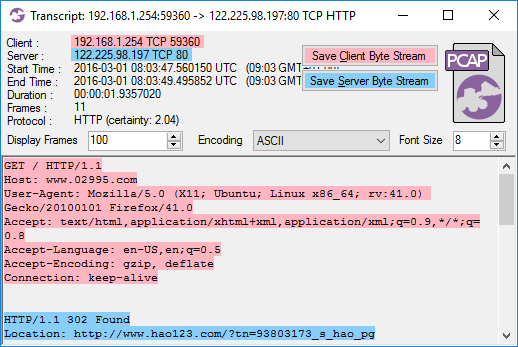 Right-clicking this PCAP icon will bring up a context menu, which can be used to open a PCAP with the selected flows in an external tool or copy the PCAP to the clipboard. 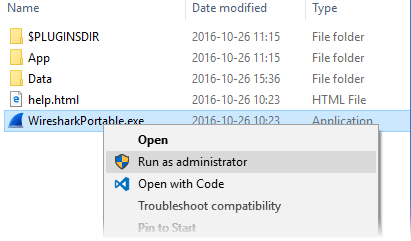 This context menu has been extended in CapLoader 1.5 to also include a “Save As” option. 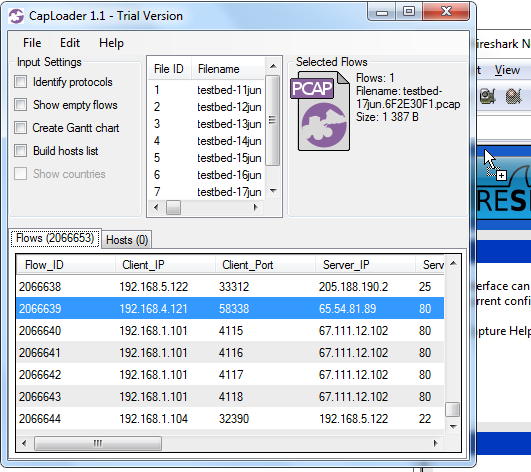 Previous versions of CapLoader required the user to drag-and-drop from the PCAP icon to a folder in order to save filtered PCAP data to disk. CapLoader can identify over 100 different application layer protocols, including HTTP, SSL, SSH, RTP, RTCP and SOCKS, without relying on port numbers. The protocol identification has previously slowed down the analysis quite a bit, which has caused many users to disable this powerful feature. 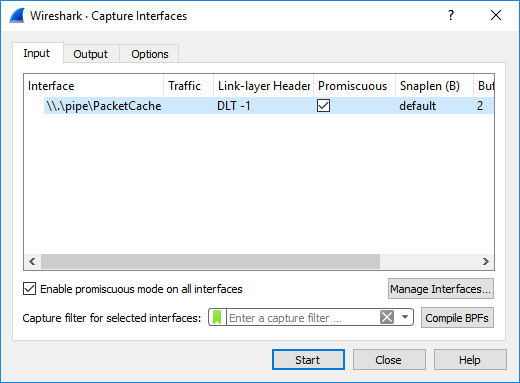 This new release of of CapLoader comes with an improved implementation of the port-independent protocol identification feature, which enables PCAP files to be loaded twice as fast as before with the “Identify protocols” feature enabled. One major improvement in CapLoader 1.5 is that this release is compatible with the Mono framework, which makes CapLoader platform independent. This means that you can now run CapLoader on your Mac or Linux machine if you have Mono installed. Please refer to our previous blog posts about how to run NetworkMiner in various flavors of Linux and macOS to find out how to install Mono on your computer. You will, however, notice a performance hit when running CapLoader under Mono instead of using Windows since the Mono framework isn't yet as fast as Microsoft's .NET Framework. Image: CapLoader 1.5 running in Linux (Xubuntu). We’d like to thank Sooraj for reporting a bug in the “Open With” context menu of CapLoader’s PCAP icon. 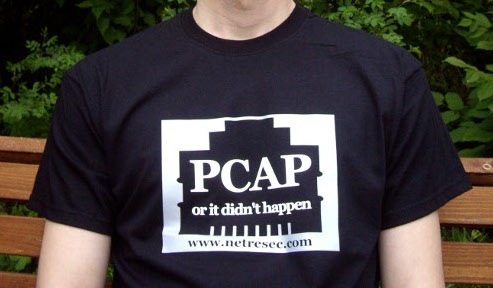 This bug has been fixed in CapLoader 1.5 and Sooraj has been awarded an official “PCAP or it didn’t happen” t-shirt for reporting the bug. Have a look at our Bug Bounty Program if you also wanna get a PCAP t-shirt! All paying customers with an older version of CapLoader can download a free update to version 1.5 from our customer portal. 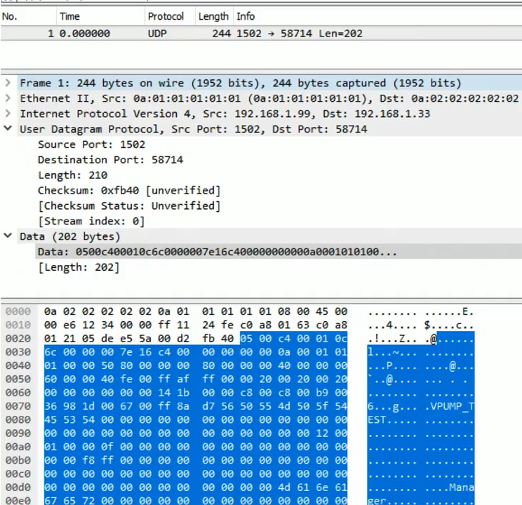 Would you like to sniff packets that were sent/received some minutes, hours or even days ago in Wireshark? Can't afford to buy a time machine? 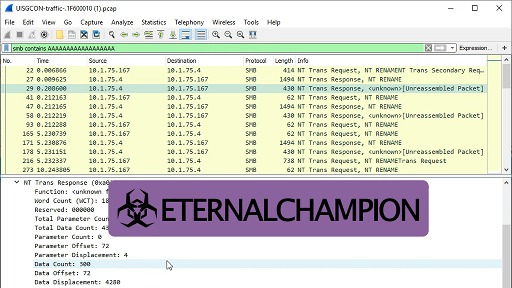 Then your best chance is to install PacketCache, which allows you to read OLD packets with Wireshark. We recently released a free tool for keeping a cache of recently sent/received network traffic in Windows. The tool, called PacketCache, is actually a Windows service that saves a copy of recent packets in RAM. 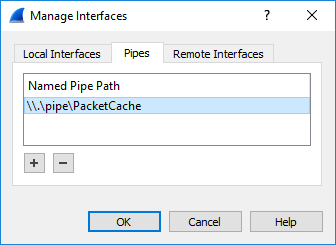 The cached packets can be read simply by connecting to a named pipe called “PacketCache”, for example by using a PowerShell script as shown on the PacketCache page. Look for a file called “WiresharkPortable_2.3.[something].paf.exe”. Press “OK” in the Manage Interface window. The status field in Wireshark will say “Live capture in progress”, which is somewhat true. 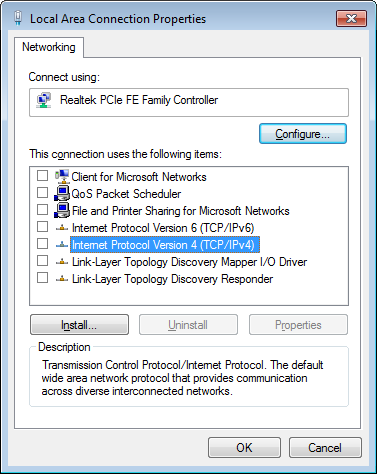 Wireshark will be updating the GUI live as packets are read from PacketCache, but the packets displayed can be several hours or even days old depending on when they were captured by PacketCache. The “live” capture will stop once all packets have been read from the PacketCache.